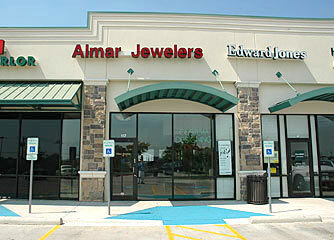 Almar Jewelers is conveniently located at the corner of Hall Johnson and Hwy 121 in Grapevine. Expect personal customer service from Al de la Hoz and Yeon Su at the location. Yeon is a professional stringer with particular expertise in handling pearls. Al de la Hoz has been in the diamond business for decades. He has worked with some of the best custom jewelers in America. Al honed his skills in New York’s famous 47th Street Diamond District. More than 90% of the diamonds that come into the United States go through this New York City landmark area. Al specializes in custom jewelry and repairs. Utilizing his contacts in the Diamond District, Al is a specialist in getting his customers the best prices available on custom diamond requests.